H.E. 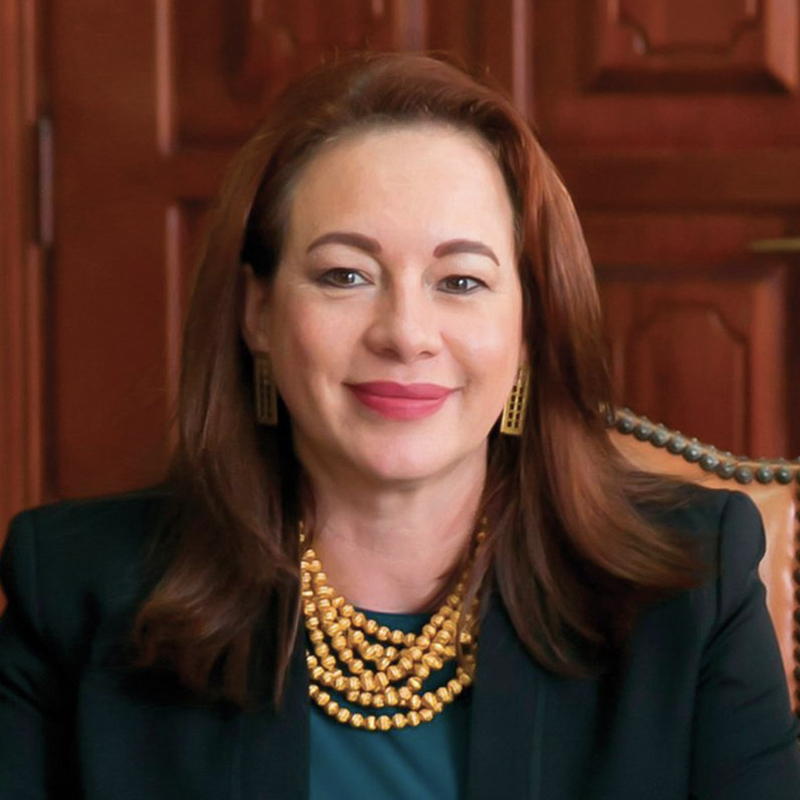 María Fernanda Espinosa Garcés is the President of the 73rd Session of the United Nations General Assembly. She is only the fourth woman to hold that position in the world body’s history and the first since 2006. She has more than 20 years of multilateral experience in international negotiations, peace, security, defense, disarmament, human rights, indigenous peoples, gender equality, sustainable development, environment, biodiversity, climate change, and multilateral cooperation. She twice served Ecuador as Minister for Foreign Affairs, as Minister for National Defense and as Coordinating Minister for Natural and Cultural Heritage. Previously, she was Associate Professor and Researcher at the Facultad Latinoamericana de Ciencias Sociales Sede Ecuador. Besides her political career, she is also a poet and essayist.